18-rim piece: Hand cut from broken saucer. Great for you next mosaic project. 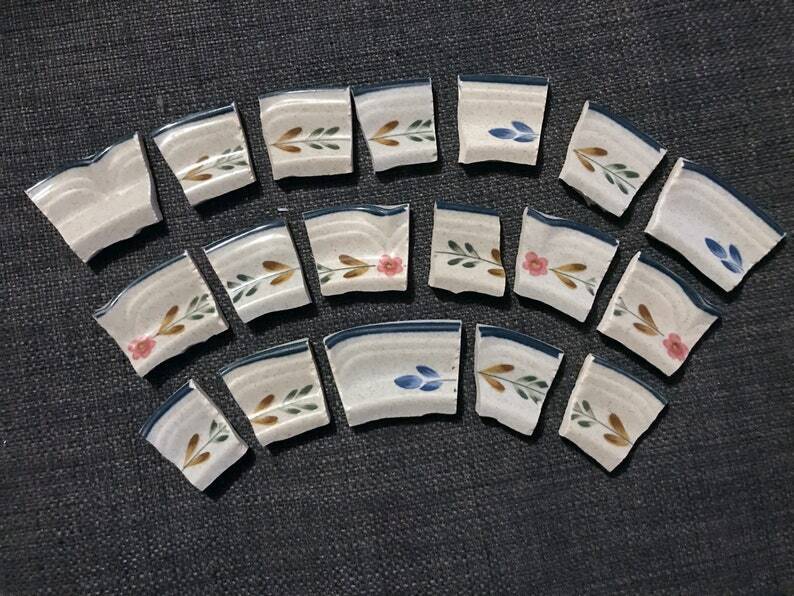 These 18 pieces are perfect for a circular mosaic and circular center mosaic. These rims will give your piece a nice uniform center. Length: each tile is about one inch, some a little longer. There is a little bit of a lip on the inside front-facing part of the tiles, so they won't lie super flat if you're making a table. However, these would be great for a picture or mirror frame, or any other wall hanging piece.